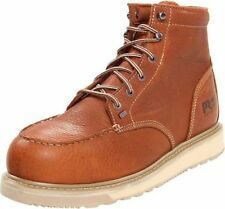 Men's Classic Leather Timberland Euro Hiker Boots - Brown - FREE SHIP! HOT DEAL! Trending at $124.97eBay determines this price through a machine learned model of the product's sale prices within the last 90 days. USA-MADE, TO TIMBERLAND'S HIGHEST STANDARDS. I am here to exceed your expectations! 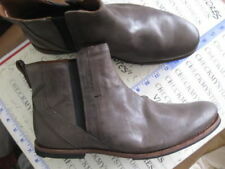 The boots are limited - the quality is not. These outsoles are zoned for flexibility and independent lug deflection to minimize weight and maximize traction. Trending at $118.57eBay determines this price through a machine learned model of the product's sale prices within the last 90 days. Trending at $85.00eBay determines this price through a machine learned model of the product's sale prices within the last 90 days. ANSI Safety toe. leather upper and you will need to put insoles in. Flats & Oxfords. Dress & Formal. Fashion Sneakers. These shoes typically show a little more wear in their soles and may have blemishes such as scuffs and/ or wrinkles. Save up to 90% on the. and Save Up to 90% OFF. 24 Hour Response. Protective Clothing. Respiratory Protection. Hearing Protection. Manufacturer part number: TB0A11SB214. Condition: New with box. UPC: 888657652922. Flotation Devices/Water Rescue. 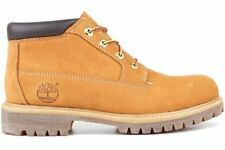 TIMBERLAND 6"Inch PREMIUM BOOTS ORIGINAL/GRN mens US 8 Wheat ALL LEATHER!!! 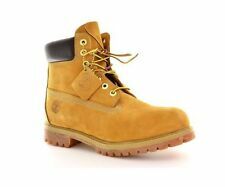 TIMBERLAND 6"Inch PREMIUM BOOTS ORIGINAL/GRN mens US 8 Wheat ALL LEATHER!!!. Condition is New with box. Shipped with USPS Priority Mail. TIMBERLAND FlyRoam Men's Limited Chocolate Brown Leather Boots TBOA1LPY SALE! Men's Timberland Croissant Light Tan Brown 6 Inch Boots Premium Double Sole 6"